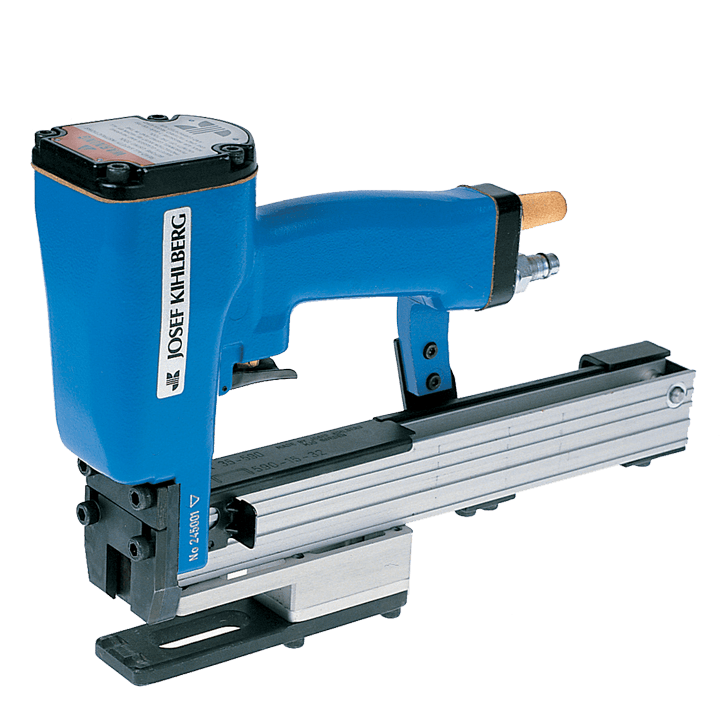 Our professional Swedish-manufactured JK35T590 pneumatic plier stapler is suitable for sealing large corrugated packaging, stapling thicker cardboard, edge protection, sealing end caps, end pieces, etc. Plier stapler JK35T590 has a fixed tongue allowing for rapid lateral movement. The pliers work with wide-shank JK590 packaging staples, with leg lengths from 19 mm to 32 mm. Using spacer plates, the stapling gap can easily be adjusted for different thicknesses from 12 mm to maximum 27 mm. Spacer plates of 3 mm and 6 mm are delivered as standard with the pliers. The unique combination of heavy-duty pliers and broad-backed staples offers many new solutions to difficult-to-solve packaging problems. The JK35T590 is a durable and stable tool with few moving parts. Plier stapler JK35T590 together with the stapler JK35-590 with JK590 staples gives you a complete and cost effective solution.